EstroBalance is a dietary supplement by Enzymatic Therapy that may possibly help maintain the estrogen balance and fat metabolism of women. EstroBalance contains essential ingredients that could potentially help promote women’s health. Calcium is believed to have the ability to ease certain symptoms of PMS such as mood swings‚ menstrual cramps‚ and difficulty in sleeping. Some studies suggest that calcium may possibly help women with weight management and prevents bone health. It is also known for having an antioxidant property that could potentially attack free radicals. Indolplex Complex may possibly help support estrogen metabolism. 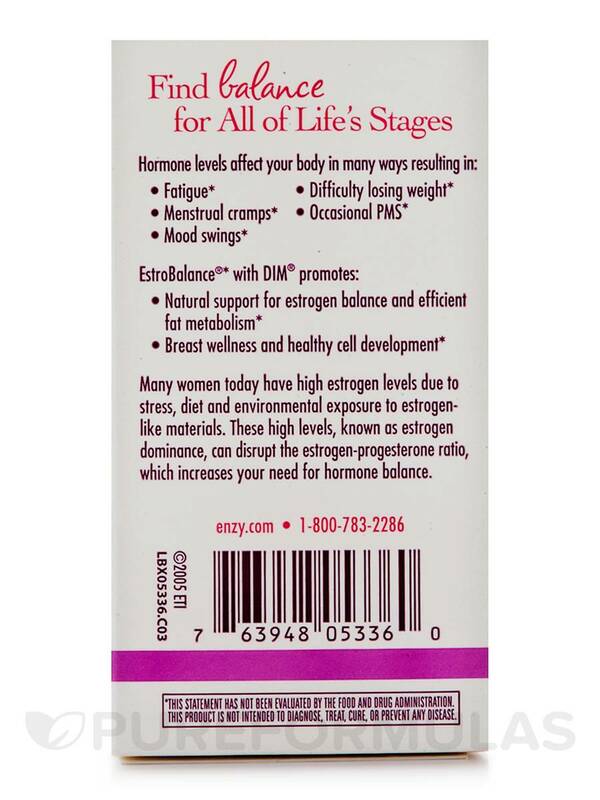 Estrogens are steroid hormones that might be able to promote the development and maintenance of the female characteristics of the body. Before taking Enzymatic Therapy’s EstroBalance‚ please consult with your physician to see if this product is right for you. Calcium (as Calcium Carbonate): May possibly help relieve PMS symptoms. 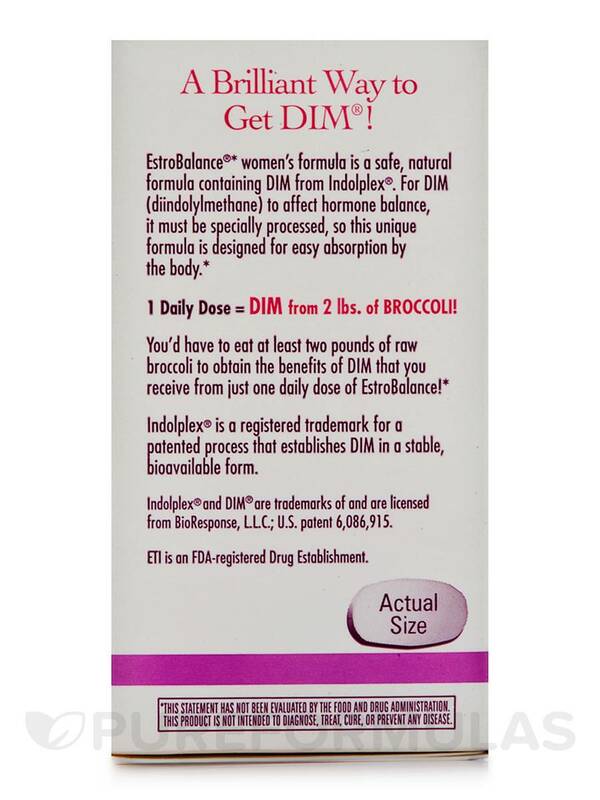 Indolplex Complex: Might possibly help support estrogen metabolism. 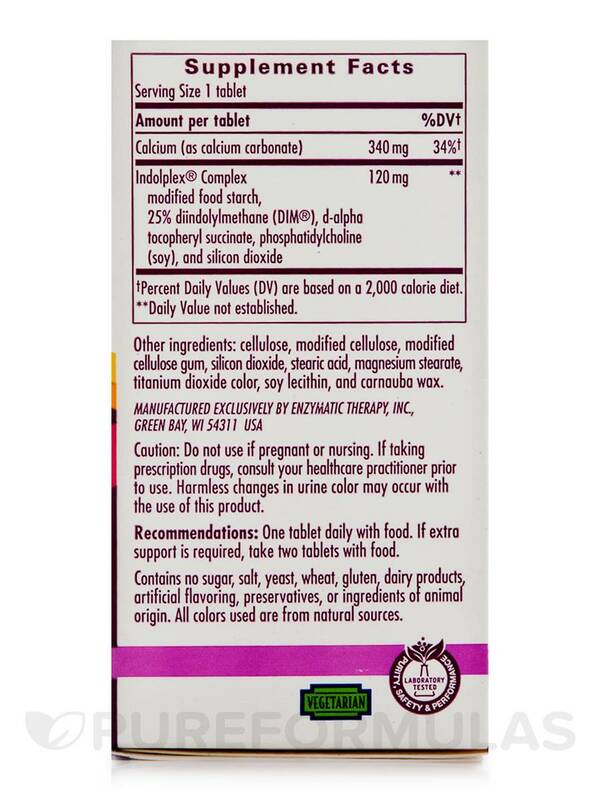 **Based on 2000 calorie diet.Other Ingredients: cellulose‚ modified cellulose‚ modified cellulose gum‚ silicon dioxide‚ stearic acid‚ magnesium stearate‚ titanium dioxide color‚ soy lecithin‚ and carnauba wax. One tablet daily with food. If extra support is required‚ take two tablets with food. Do not use if pregnant or nursing. If taking prescription drugs‚ consult your healthcare practitioner prior to use. Harmless changes in urine color may occur with the use of this product. I have been taking EstroBalance by Enzymatic Therapy for about a month. I think that it is really helping me stay more steady emotionally before my period. Its not a miracle yet but I went from two weeks plus of pmsing down to three days. It will be great to see what happens after another month. No side effects. Seems to help steady PMS emotions. 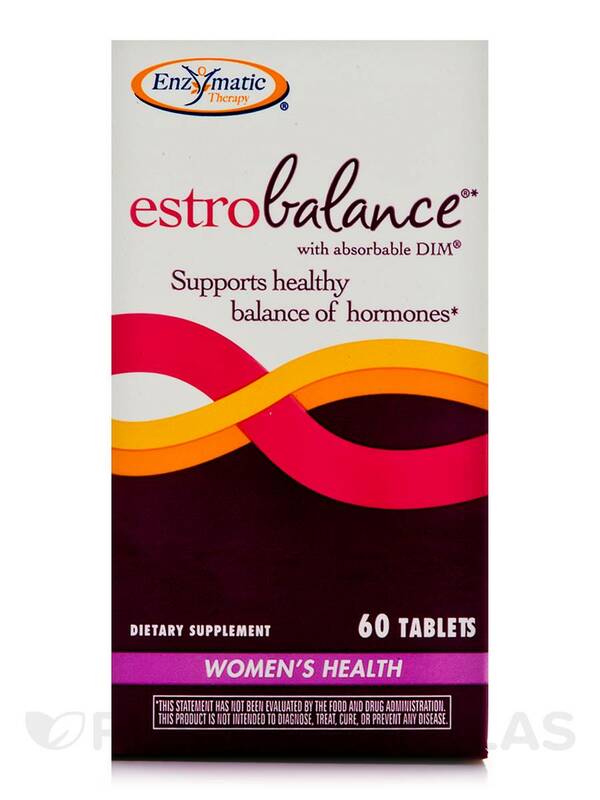 I take 1 capsule of EstroBalance a day to help clear out excess toxic estrogen.